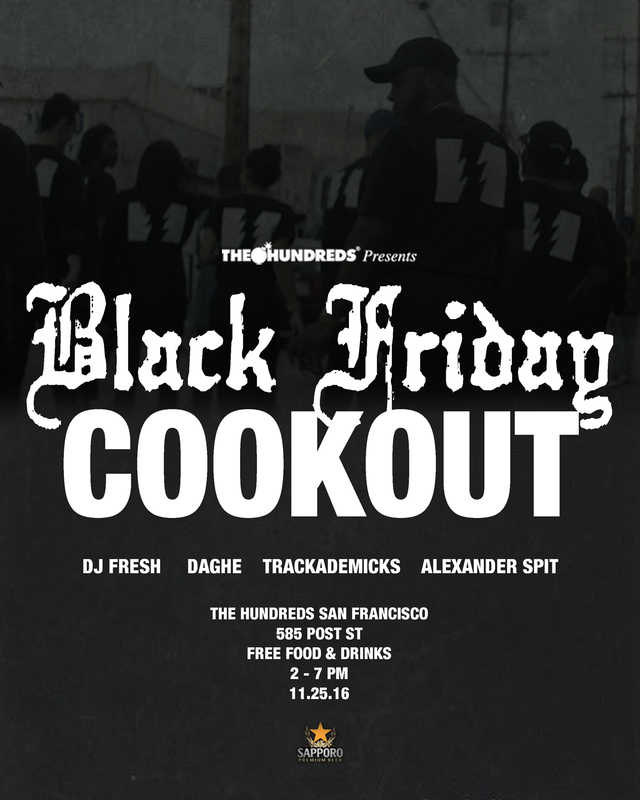 The Hundreds is proud to present our Black Friday Cookout, which will emanate from our POST location in San Francisco. Featuring sets from Alexander Spit, Trackademicks, Daghe, and DJ Fresh, this is going to be the perfect place to unwind from the Black Friday rush—and get away from your family for a couple of hours. Of course, if you’re tired of turkey and stuffing, we’ll have free food and complementary drinks from Sapporo, too. Check out the flyer below, and make sure you stop by and say hi to the crew! 10 Hours, 10 Tracks, 10/10 :: Alexander Spit's "Alive at Virgil Normal"